1. Sprinkle the graham cracker crumbs onto the bottom of an 8 or 9 inch springform pan sprayed with cooking spray. (Note: If you don’t have a springform pan a 9 inch pie plate may be used instead.). 2. Add the boiling water to gelatin mix; stir 2 minutes until completely dissolved. Cool 5 minutes; pour into blender. Add cottage cheese and cream cheese; blend well. Pour into a large bowl. Whisk in the whipped topping. Pour into prepared pan; smooth out the top. 3. Refrigerate 4 hours or until firm. When ready to serve, run knife around rim of pan to loosen cake; remove rim. 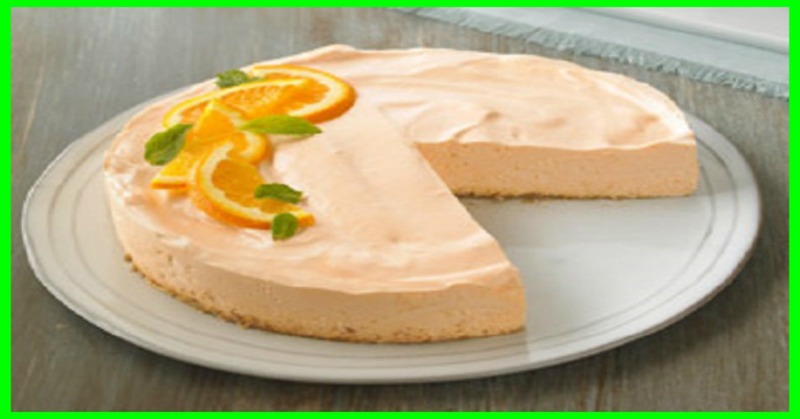 If desired, garnish with fresh mint sprigs and thin orange slices just before serving.